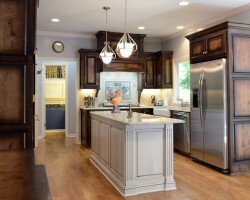 Remodeling any room in your home can be a large project, especially when you want to redo the entire kitchen. 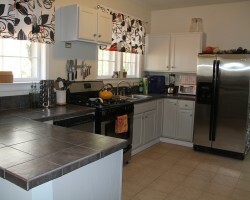 Dennis Bilt is a company that has extensive experience with this exact kind of remodeling work. First, their professional design team will help you to come up with a layout and choose the materials that will make the space feel beautiful and inviting. From there, this kitchen remodeling contractor will take those plans and make them come to life quickly and efficiently so you can enjoy the space as soon as possible. For over 35 years, The Remodeling Pro has been the go-to company for complete renovations and small home projects throughout the area. As a Kansas City kitchen remodeler, this team walks their clients through each stage of the process to achieve the best results. 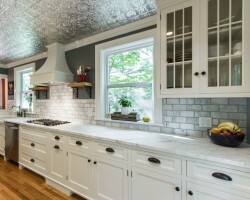 You will feel like a part of the team and a member of the renovation family as you work together to create the kitchen you have always wanted. The flawless workmanship and the well-designed space will make your life much easier. Dave Schmidt and Mike Schwartz began their remodeling company, Built By Design, in 2004 and have been expanding ever since. Their focus is on residential remodeling projects, specially focusing on the more difficult work like in kitchens and bathrooms. They really do it all, including the designing, choosing materials, plumbing, tiling, construction and so much more. Reviews of this company cannot seem to say enough about the level of craftsmanship and customer service that this team brings to the table. Reconstruct is owned and operated by John, with more than 30 years of experience in construction, and Lynneah, who has an extensive design background. 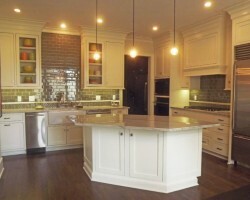 Together they offer creative solutions for all kitchen remodeling in Kansas City, MO. The goal of this team is also to help homeowners in Missouri obtain the resources necessary to achieve their dream kitchen. With this kind of focus on customer satisfaction, this team keeps their rates affordable and will always help you find cheap prices for the best materials. Scovell Wolfe & Associates Inc.
Scovell Wolfe & Associates, Inc. has been one of the top local remodeling companies for the last 25 years. In this time, the company has grown in popularity and reputation because they offer personalized, custom services that always end in the results that the client will love. This is achieved by working closely together in order to ensure all of the materials and design plans are approved before they are put into action by this professional team of designers and contractors.